How to Cook Crispy Chicken Wings? 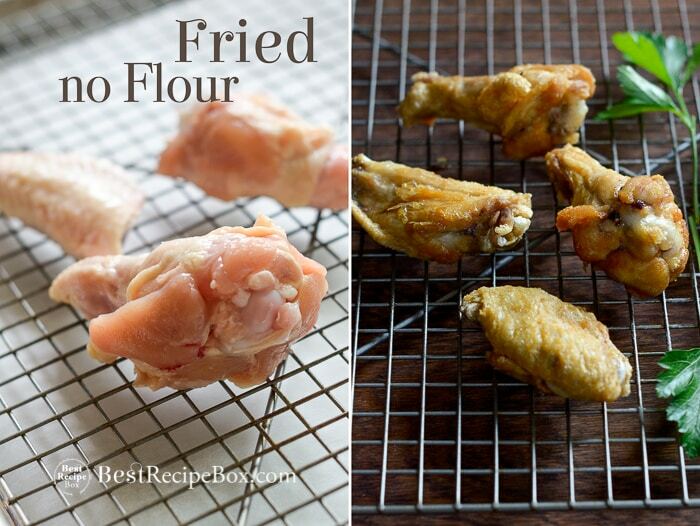 There are a number of ways to cook all our–> chicken and buffalo wings, but which one is better? 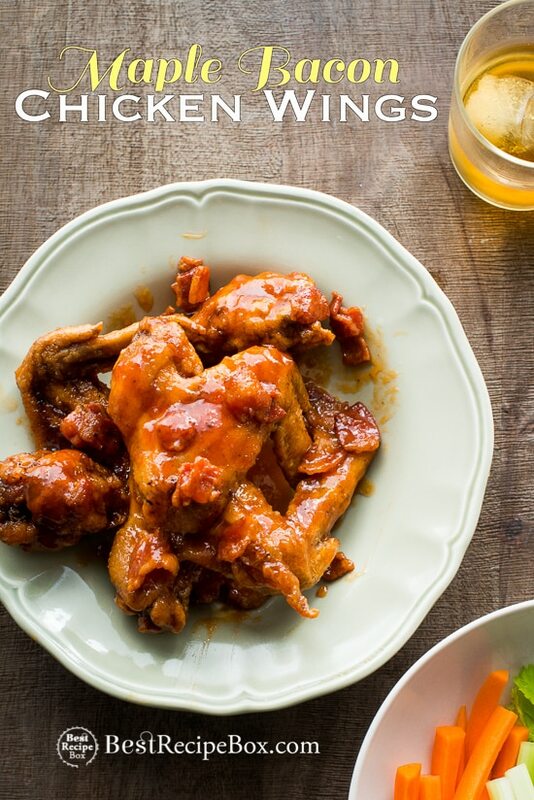 The real question should be “Which one is right for you, for your health benefits or your texture and flavor preference?” All these many factors come into discussion when choosing a which method to cook chicken wing and buffalo wing recipes. 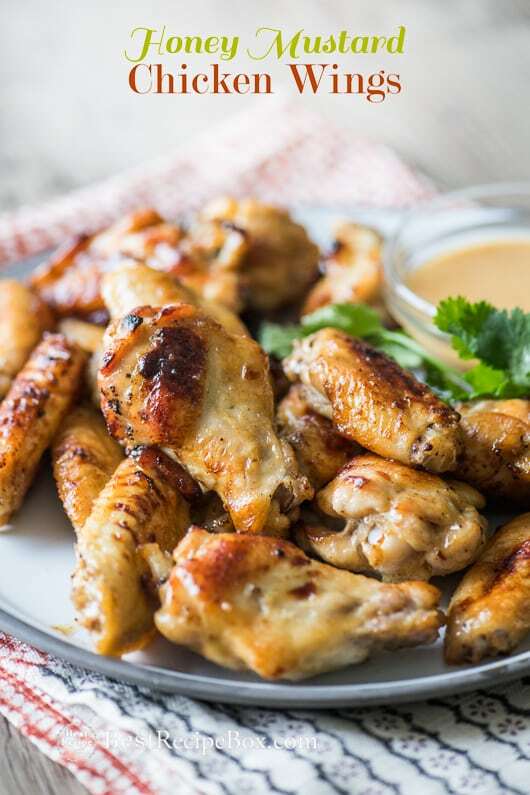 We want to give you some different options and ideas on how to prepare chicken wings and from there, you can experiment and see which one works best for you. Deep Fry the chicken wings? 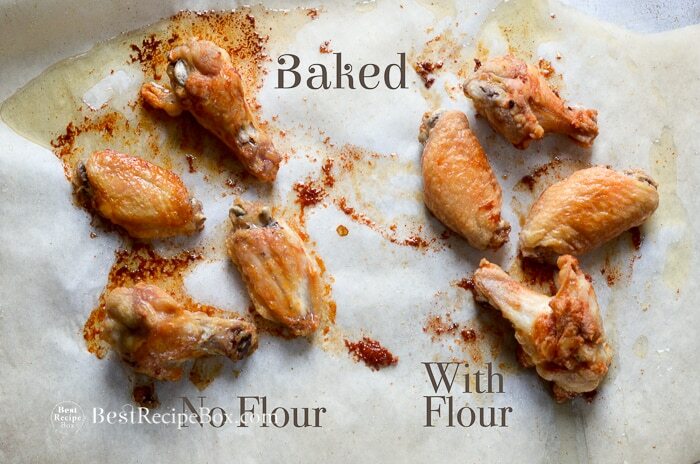 bake the wings? dredge them in flour? or maybe pre-poach them to release some excess fat? It was grueling work testing out the different methods, but we gallantly forged ahead so solve the chicken wing method riddle. 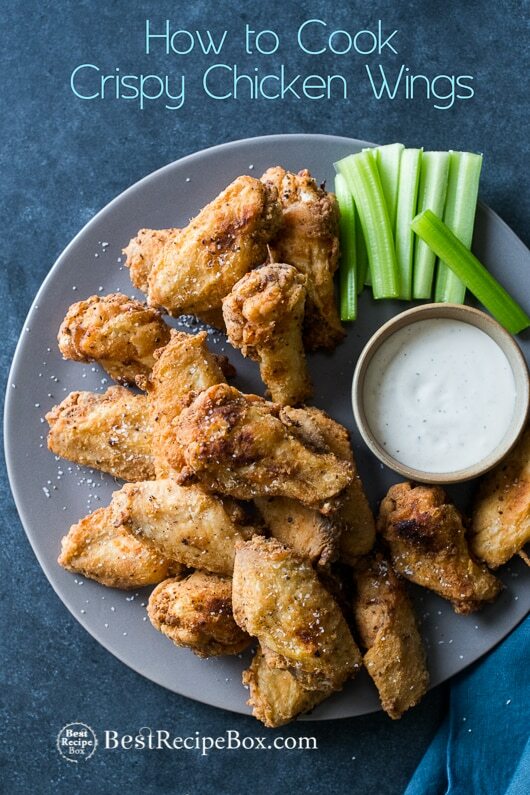 As you dive into our research, we want to share our latest and greatest discovery: Air fried chicken wings in the air fryer. 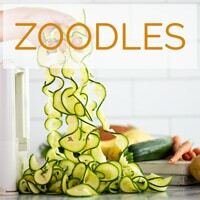 These are truly the healthiest of all techniques for healthy chicken wings. Seriously, there’s NO OIL and they come out fantastic! 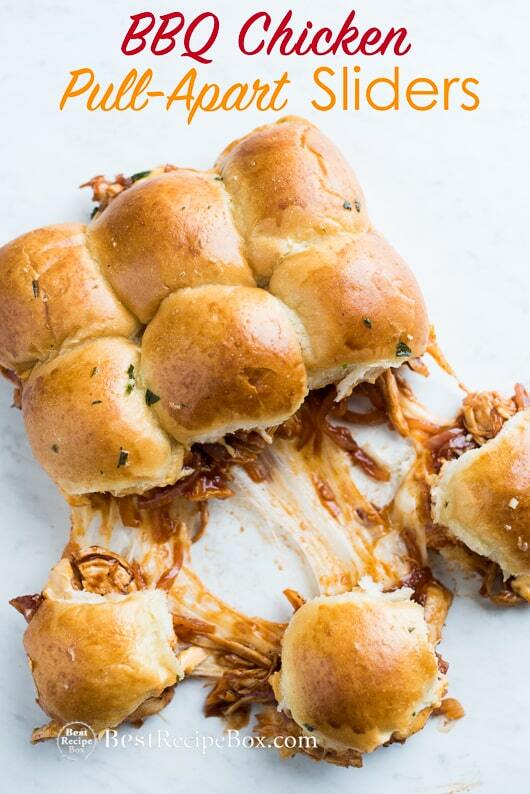 Add your favorite sauce and you’re ready to party. Results: Super Juicy and Crispy. But like anything that’s deep fried, it has the high calories. Technique: Heat vegetable oil in deep skillet or dutch oven to about 350-375 degrees F. Fry wings for about 10 minutes or until crispy brown. 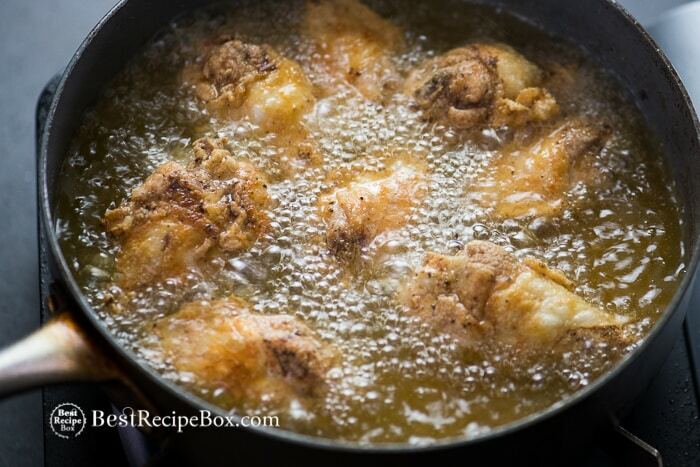 Remove chicken wings from hot oil, blot on paper towels and toss with your sauce. Results: Super Juicy and Extra Crispy. Adding the flour to the deep fried gives a slightly crispier crust to the chicken wing, but you still have the higher calories vs baking. For gluten free options use rice flour. You can also get great crispy results by using potato starch, tapioca flour or corn starch to replace all purpose flour or do a 50/50 ratio. Technique: Lightly coat the chicken wings with all purpose flour, or as mentioned above, use potato starch, tapioca flour or corn starch.Heat vegetable oil in deep skillet or dutch oven to about 350-375 degrees F. Fry wings for about 10 minutes or until crispy brown and cooked through. 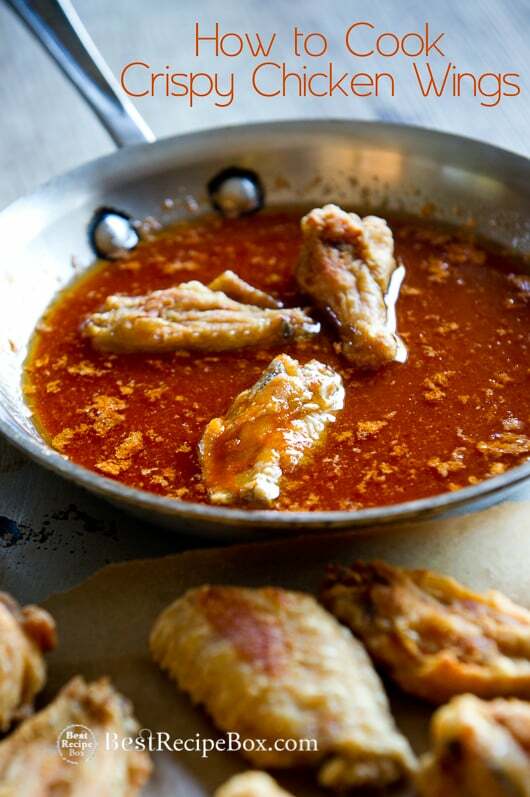 Remove chicken wings from hot oil, blot on paper towels and toss with your sauce. Flour vs. No Flour? After the sauce is added both have great crispy, juicy textures but the one with the flour coating has an extra crispy crust. But after the wings have cooled, the textures become the very similar, so the flour doesn’t really matter too much at this point. 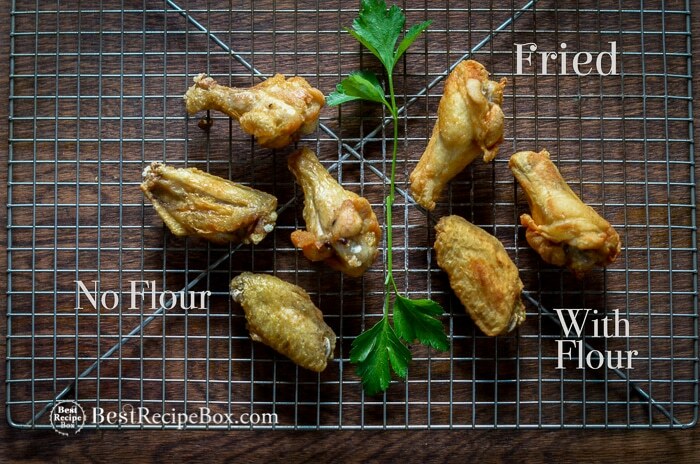 If you are saucing the wings, the flour coating will grab a touch more sauce and if you’re eaten it hot, then the flour coating will give that extra crunch. Results: Juicy & Crispy. The wings are still juicy and crispy, given that you bake them in a hot enough oven and the you don’t over bake them. This option is healthier than the deep fried, however they aren’t quite as crispy or juicy as the fried wings. Technique: Pre-heat oven to 425 degrees F. Lay wings and drumettes on baking sheet. Season with salt and pepper. Bake wings in oven for about 40-45 minutes till golden brown then flip them about halfway through baking time, after the first 20 minutes. Toss with your sauce. Results: Juicy and Crispier. Like the baked with no flour, they aren’t quite as juicy and crispy as the fried variants, however they are still quite delicious. 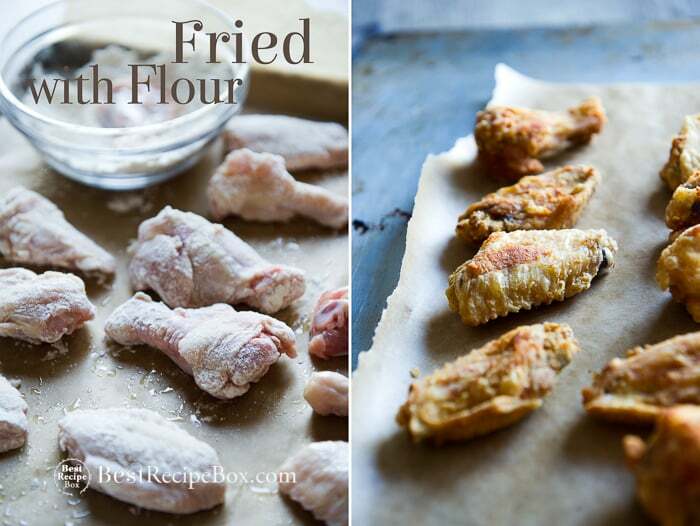 The flour coating gives them a slightly crispier crust vs the un-coated baked wings, however it is still less crispy vs the fried variants. Technique: Pre-heat oven to 425 degrees F. Lay wings and drumettes on baking sheet. Season with salt and pepper. Lightly coat with flour (use rice flour for gluten free) Bake wings in oven for about 40-45 minutes till golden brown then flip them about halfway through baking time, after the first 20 minutes. 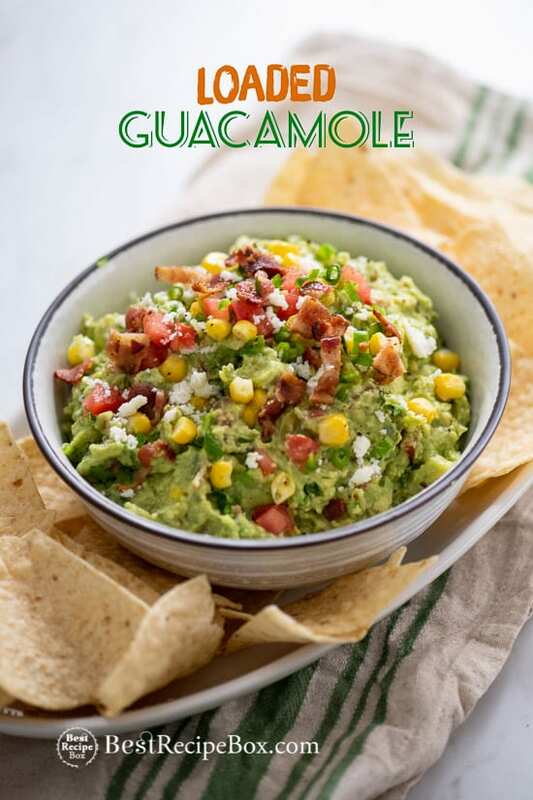 Toss with your sauce. 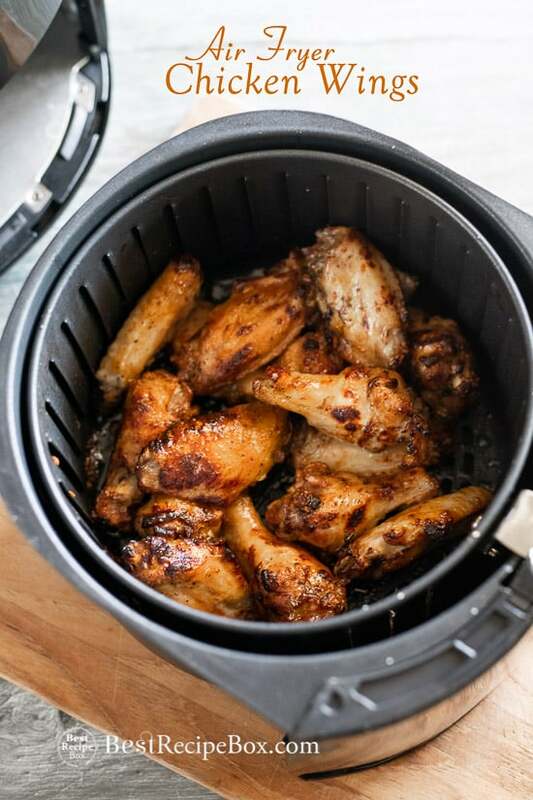 Technique: Just add chicken wings to air fryer. Technique is –> here. 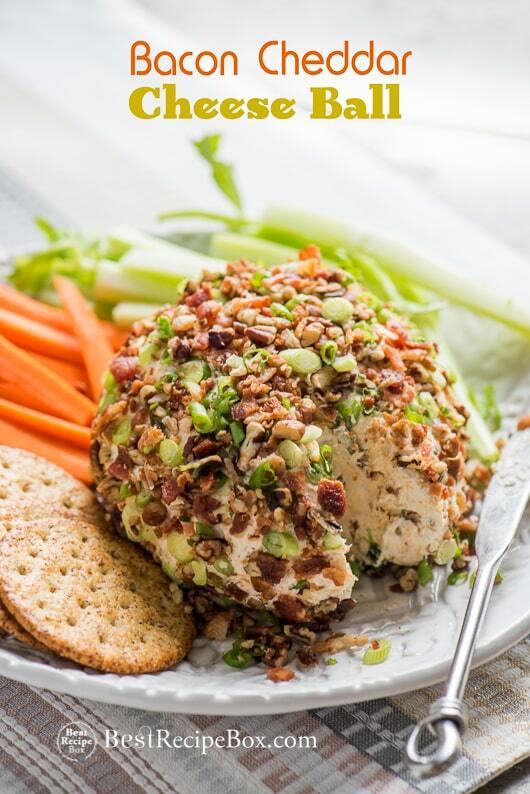 Results: Seriously, delicious and fantastic without any oil. Hands down, our favorite way to make wings. Best of all, air fryer chicken wings can be made in batches so you can always have a hot crispy batch ready to devour. Technique: This is an additional step which will help render some of the excess fat in the chicken wings, making a lower-calorie wing. Bring a pot of water to boil. Boil or poach the wings for about 5 minutes to release excess oil from the skin. But before you bake the wings in the oven, make sure you allow the steamed and pre-poached (or boiling) wings to air dry out for about 10 minutes before baking. 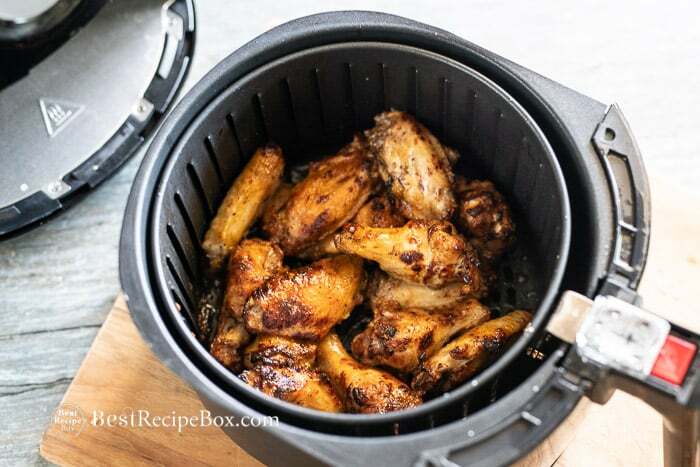 You can also cook the wings in the air fryer after poaching. They might dry out a bit, but with extra sauce, they will become more juicy. Results: How do they taste? When baked in the oven at a high temperature, the wings are still juicy, however they are slightly less crispy than the baked wings which weren’t poached or steamed. 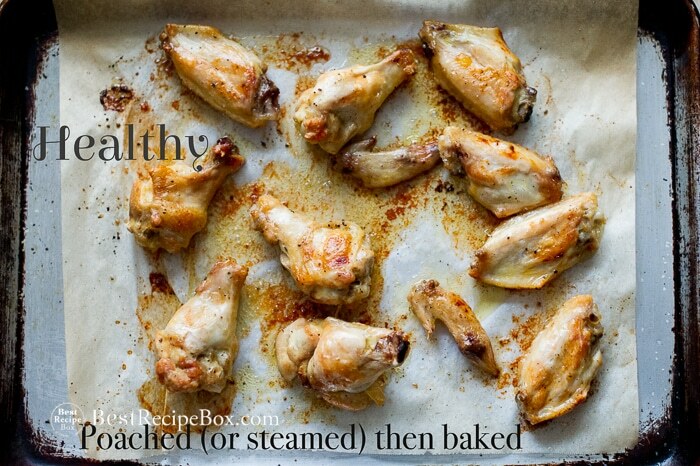 This is the healthiest method since in the steaming or poaching you are rendering out some of the fat from the wings. So there are some different options for you. 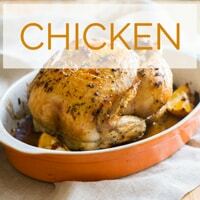 What’s your favorite way to prepare chicken or buffalo wings? Or do you have a different technique that you prefer? 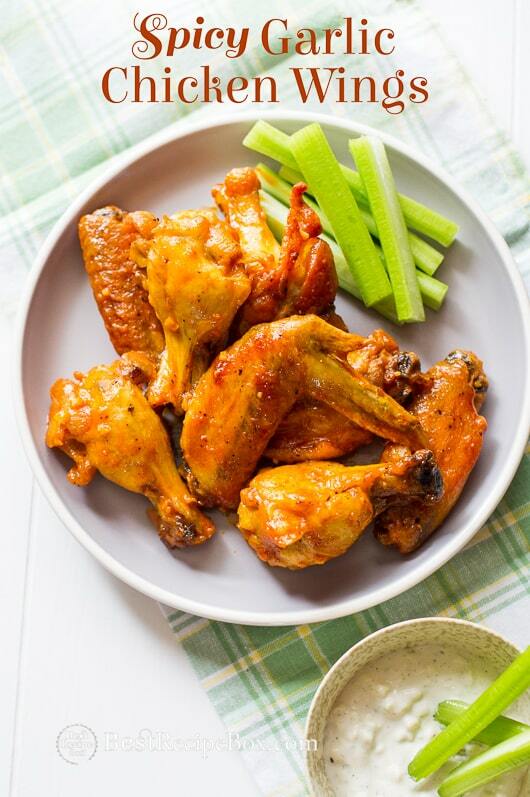 Share your insights in the comments about how you cook your chicken buffalo wings! A quick thought on saucing the wings: For some wings, we will sauce before cooking, however we nearly always prefer to cook the wings, then toss them in the sauce. It gives a nice finger licking juicy coating. 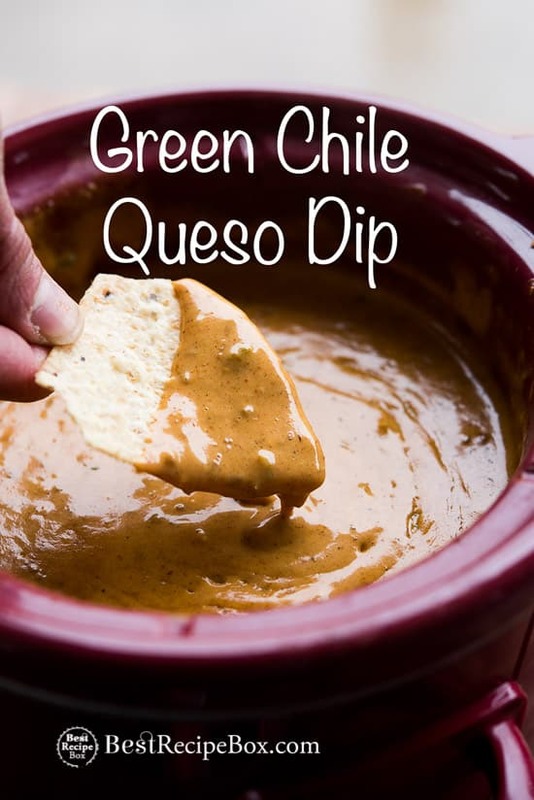 This allows you to do a couple different sauces to please the crowd. Or if you have extra sauce you can coat a bit on the wings, before baking them or air frying them. Followed by a second tossing of sauce in the end. 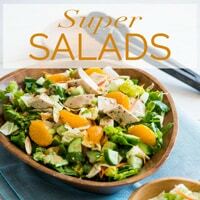 You can even serve some without sauce and with just a toss of salt and pepper for another variation. 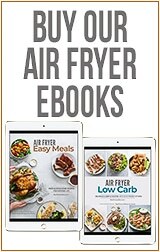 Do you have any idea on the percentage of calorie reduction poaching/steaming has on chicken wings? We don’t get into the science of it, just the practical sense of what is going on when it is cooked using the different methods. 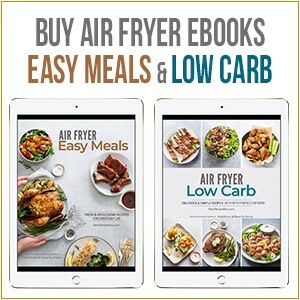 Here’s a link that may help. I like chicken cooked all ways and seasoned all ways. Chicken wings are always included on any get together I have because they are a favorite of many people; they are always a hit! Most of the time I serve a variety of different seasoned ones. I do fry them as well as bake them. As for the hot wings because of my health conscience friends I often bake some in the oven. Whether I fry hot wings or bake them, I add the hot sauce after cooking. When I serve Oriental wings, I do not fry but I bake them in the sauce. 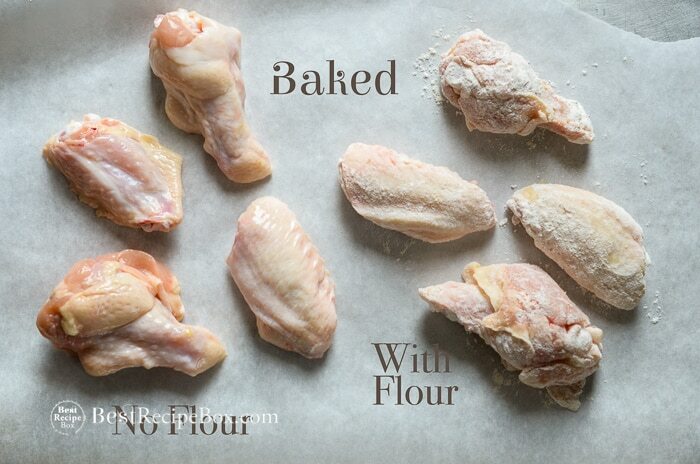 When I serve plain chicken wings without adding a sauce to them I dip in an egg milk wash and then roll in my seasoned flour. 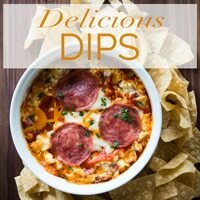 These are great served with sauces on the side. The very best chicken wings we have ever tasted were from a little place in Ketchikan, Alaska. They were flavored with vinegar and salt. It sounded strange, but, they were the best hot or cold. 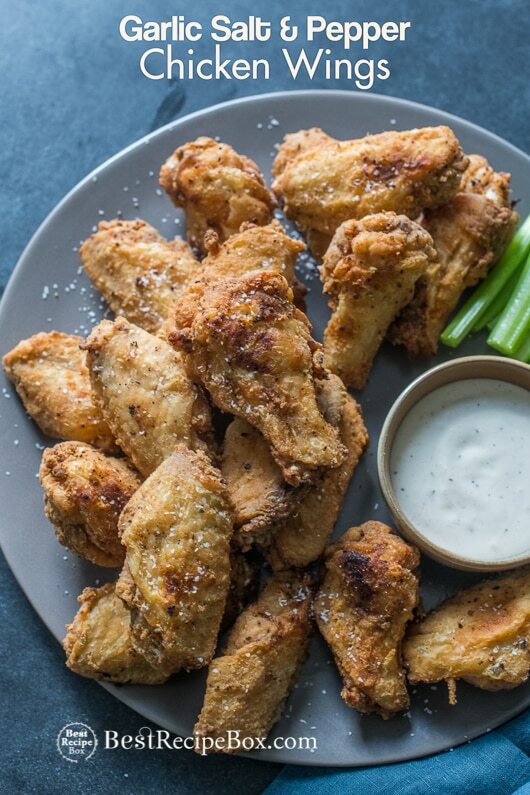 Can you help to re create these delicious wings? 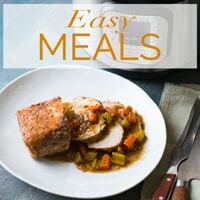 This is a great article with all the variations except BBQ, I have found that marinaded Wings on a really hot grill leave great grill marks and can achieve moderate crisp. The key is to lightly coat the wings with oil as they cook on the top rack of the BBQ, I’ve also experimented with steam pockets in the oven, coating the wings with a rich and sticky sauce I like hot and honey gaic with unpasteurized honey, then baking a tin foil pouch for @374 for 45 iwasn’t as crispy but were cooked well and were definitely juicy and tender the steam cooked them well. Tomorrow is Christmas Eve and I’m making your bestrecipebox recipe for Maple Bacon Bourbon Wings, I’m excited to try this new sauce and hope our guests enjoy them, …Cheers Wing Lovers ! I like how you point out that steaming wings can eliminate some of the excess fat in chicken wings and make them healthier. I’m trying to learn how to cook wings for my brother’s birthday, since it’s his favorite food. I want to do something special since he’s turning 20. Unfortunately, I’m not the best cook, and my recipes don’t often turn out. Maybe it would be better if I just took him out to eat wings.